iPhone selling out across the US - 3G version imminent?
. Others have a much more down-to-earth explanation. Munster claims that he has contacted 20 stores at random, each of which were experiencing iPhone stock shortages. Even buying an iPhone from the online Apple Store takes between five and seven days. Mac site Apple Insider has also carried its own survey and found the same – there are no iPhones to be had anywhere. Munster says that the shortages, which other Apple watchers are also reporting, could be due to some kind of production problem. However he believes that there is only a 20 per cent chance this is the case. The other 80 per cent points to Apple clearing out its iPhone inventory ahead of an earlier-than-expected launch for the 3G Apple iPhone. Not everyone agrees with Munster's analysis though. One tipster quoted by Silicon Alley Insider says that iPhones are in short supply because people are simply walking in to Apple or AT&T stores and buying them en masse. The reason? A weak dollar and strong demand for unlocked iPhones in China. Commentators have also pointed out that Apple has yet to submit a 3G iPhone for approval by the Federal Communications Commission (FCC), something it's obliged to do by US law. However a Gartner analyst noted last week that Apple supplier Hon Hai Precision Industry already has 10 million 3G iPhones waiting to ship – it's just waiting for Apple to give it the nod. Munster reckons that the 3G iPhone will sell for $400 (£200) when it's launched in the US, replacing the existing top-end model. This ties in with previous reports we've seen that price cuts for current 2G models are expected soon, with average cuts of around $100 (£50) for the 8GB and 16GB versions. 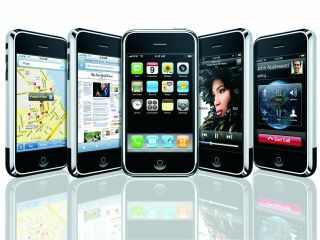 Munster has also predicted that Apple will sell 45 million iPhones by the end of 2009. Mac site Loop Rumors points out that Munster has the best reputation of all Apple analysts when comes to making predictions. Are you waiting for Apple to launch the 3G iPhone before you take the plunge? Write in and let us know.